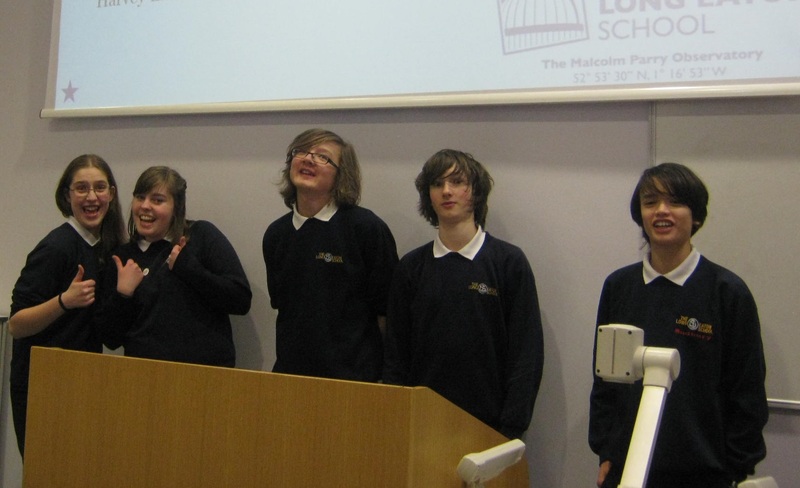 On 25th February a group of our year 10 and 11 GCSE Astronomy students visited Nottingham Trent University (NTU) to give a presentation to members of the public. The students have been working on a project to raise awareness about the issue of light pollution and to improve the problem in our local area. The Open Dome Event at NTU was a great opportunity for them to showcase their work. The students began by explaining what light pollution is and why it is a problem. They then talked about how we can work to minimise the impact of light pollution and shared what they have been doing here at The Long Eaton School and in the local area. The students have been making hoods for the exterior lights around the school site to ensure that the light from them is not pointing towards the sky. An offending light before being fitted with a hood. The light fitted with a hood. The students have also been taking part in an Orion star count to find out what the level of light pollution is in Long Eaton. 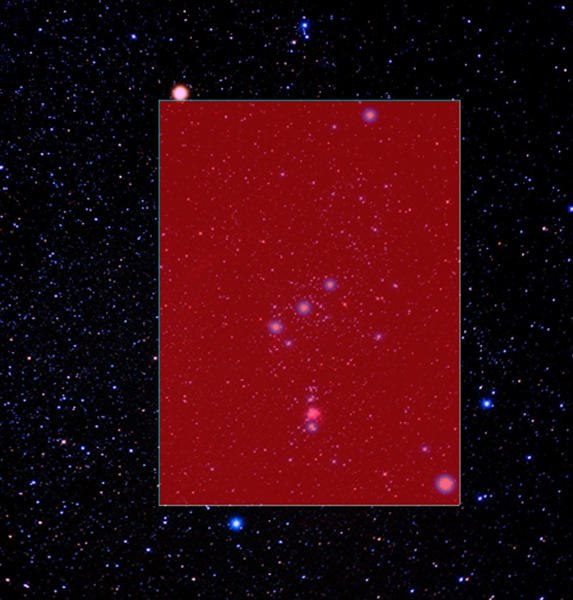 They have been encouraging as many people as possible to count the number of stars that they can see within the four corners of Orion on a clear night. Count the stars in the red area. More than 30 stars indicates very dark skies and less than 10 indicates severe light pollution. So far we have an average Orion star count for Long Eaton of 7.2! We would like to improve this figure to more than 10 so that we all have a better chance of enjoying the night sky. 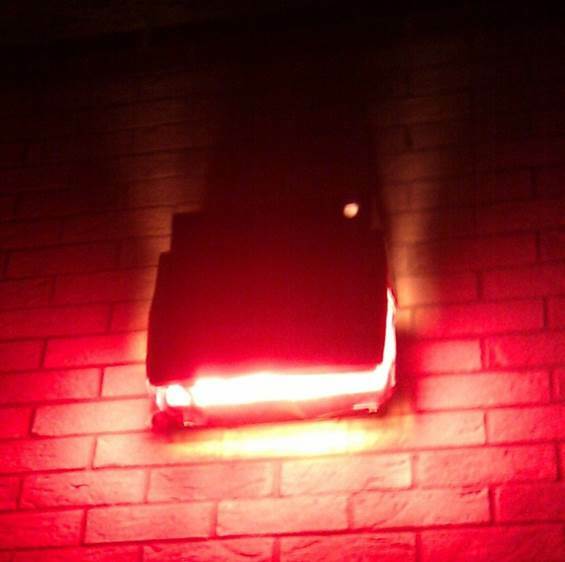 2.Ensure all your exterior lights are pointing downwards, and that they are not spilling into the night sky. 3.Contact your local councilor or MP and ask them what they are doing about the energy and money wasted by inefficient street-lighting in your area. 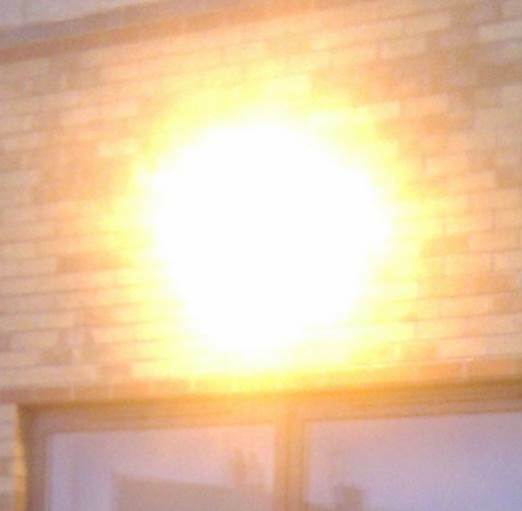 4.Contact any local businesses that have bad lighting, and recommend that they use efficient lighting instead. The cost of replacement can be saved in electricity bills in just a few years. 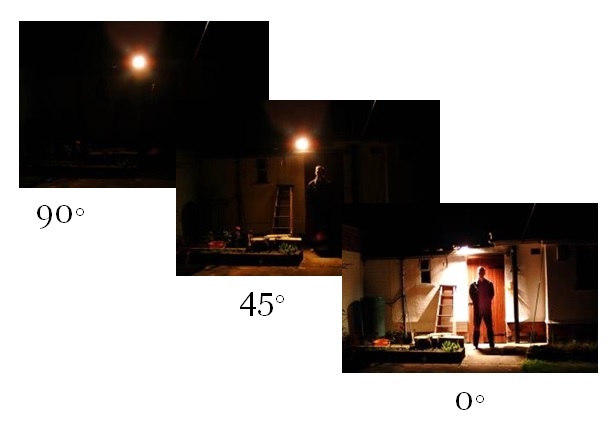 5.Contact the local press, to encourage more people to use efficient lighting in your neighbourhood.